How much she longed to be in his arms, how much she loves him, nobody knows. She shakes her head knowing it will always remain a dream for her like the rest of life. She wondered what will happen when he will actually talk to her, would she act stupid like she used to. One day, she had to stay late as she has volunteered to help the staff and people with the college show. It was late at six; the darkness has approached whole sky as it was winter. She walked in the corridor, her heal sound echoes back to her. She felt nervous as she was the only one here and it would be better if she should not attract the attention. Her beats grows faster, she looked back to see if someone was following, she walked faster and faster and break into a slow run. She reached at the end of corridor and looked back again; she lets out a huge sign of relief. Before she can move forward she realised she is not on her own, she hears the ‘tap tap’ voice coming from behind, and she froze. She stood there like a statue unable to move or something. She cried out a little ‘help’ but her voice was too shaky that no one could hear. She realized she is on her own. Without thinking further, she scurried off and ended up crashing into another person. She fell down and ouch it hurts! She feel like killing him.. She looked up to see who it was. The guy looked back at her and smiled. It was the same guy she fancies, correction Ragini darling; it’s not only you and it’s every girls here’ she opened her mouth to say something but nothing came her. she is edgy and nervous. She prayed deep down her heart that nothing should go wrong, not again, not in college. I am sorry he said calmly looking at her. Stupid Ragini is that all u have learned to say in your life, “it’s O.K”. Think about other girls, they would start flirting with him. They can do anything, but why can’t I? She laughed because he was also down at floor, she smiled and he smiled back. What are you doing Ragini, u r supposed to be getting up not just sitting there dumb and looking at him, she asked herself angrily. Part of her just want to sit there and stare at him for long but she do not have enough choice as she is reticent. She does not want to show that she is alone. She wants to stand up by herself. She picks up all her things and quickly gets up. She feels his eyes looking at her. She looked back at him with a smile on her face and yes, he was looking at her. Those soft chocolate brown eyes were very calm and smiling back at her with love. ‘Love’ she thought, the word just make her panic all jumpy, she is happy inside but yet again is confused. She gulps down and wonders what is going to happen. Her legs and body starts to shake and tremble. Thanks god, its winter otherwise she would be embarrassed, shivering in summer, eh? This thought just made her laugh! She bought her hands forward in order to shake his, to her horror she was shaking, she does not want to show that to him. ‘Yeah’ she replied. What he wants to get at, she wondered. Is he trying to say I am shy? Well he is wrong I have changed and I am going to show him she said to herself in full confidence. ‘O.K I have to go’, saying this she went off. As she walked away further, she could still feel his eyes looking at her. 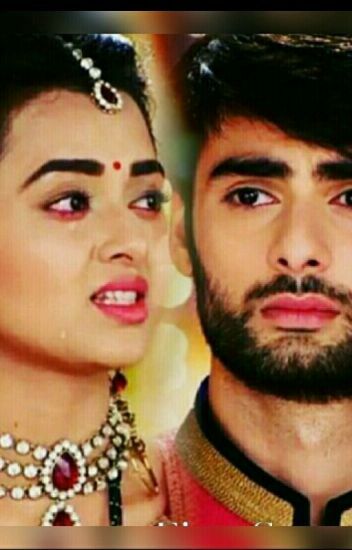 Shall I turn back or not, shall I turn back or not to see whether Sanskar has gone or not. She wants to but is unable to. She reached her car and dozed off. She cursed herself for not staying there longer. She looked at her hand where she had touched his hands, she smiled. She wondered how it would be like hugging him, if a touch of hands just shaken her. His hands, so warmth in it and cute, charming brown eyes she wished she could have him forever and ever. she did not even said ‘goodbye’ or ‘nice to meet you’! idiot Ragini you don’t even know how to talk. NExt Time she said she will.. Next time….